“Hey, guys. Thank you!” he said as he took the podium, before immediately launching into a message in Spanish. Kaine repeatedly referred to his missionary work in Honduras, where he learned to speak fluent Spanish. “I taught teenagers the basics of carpentry and welding, and they helped me learn Spanish,” he said. He also used Spanish to describe his Catholic faith and his plan for immigration reform. 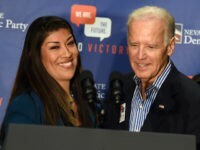 “In our administration in the first 100 days we’ll put forward a comprehensive immigration reform package that includes a path to citizenship,” he shouted. His Spanish slogans existed separately from the rest of the speech and he did not always translate them into English for the rest of the crowd. 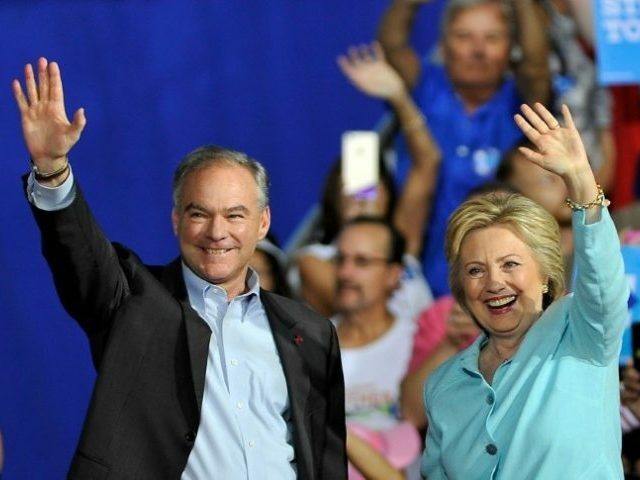 Kaine urged all Americans to attend a immigration naturalization ceremony.